This recording (with the works in a slightly different order) was released on 2 November 1964 in the USA, landed in the charts on 23 January 1965 and soon climbed to Number 5. When released as singles, Red Roses For A Blue Lady reached Number 3 and Three O’Clock in the Morning Number 10. Bert Kaempfert’s composition L.O.V.E., which in its vocal version was to be Nat “King” Cole’s legendary final hit, became one of his greatest international successes and has long since achieved “evergreen” status. 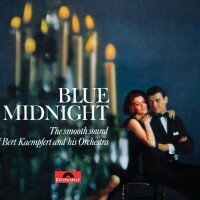 Old favorites and Kaempfert’s own brilliant compositions were subject to his genial orchestration for this album. The trumpet solos, performed by Manfred Moch, have long since been a hallmark of Kaempfert’s unique sound.